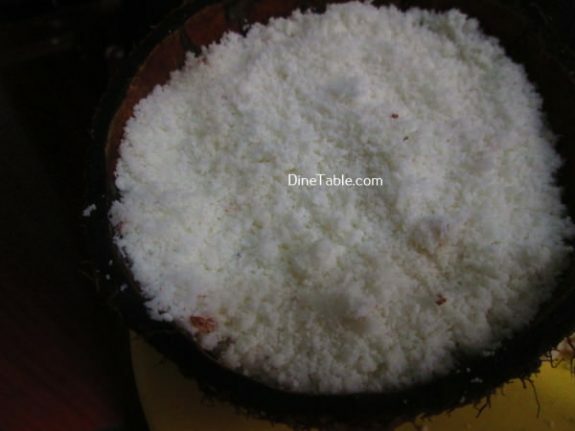 Chakka Puttu is a very tasty dish and can be easily prepared. 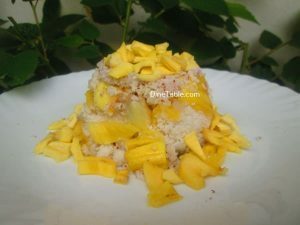 I have added tasty and yummy jackfruit to the puttu to make it more delicious and healthy. This puttu is made by adding chopped jack fruit. It is light sweet with great aroma and taste. Jackfruit is deliciously sweet in taste. It is also rich in energy, dietary fiber, minerals, vitamins and free from saturated fats or cholesterol. Enriched with phytonutrients, like lignans, that contain anti-cancer and anti-ageing properties, jackfruits are beneficial in eliminating cancer-causing free radicals in the body and inhibiting the degeneration of cells. With simple sugar such as fructose and sucrose present in jackfruit, it is useful in boosting energy levels, without adding fat or cholesterol to the body. 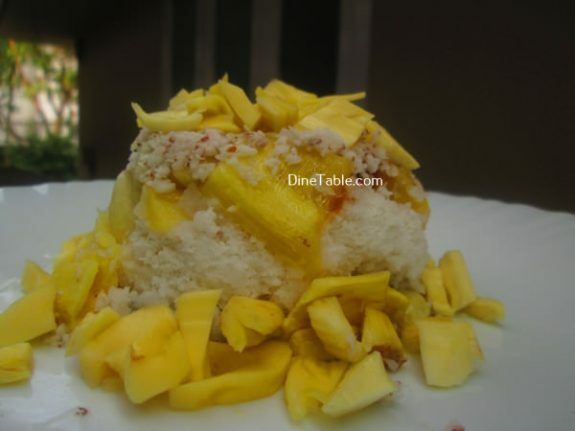 Try this yummy puttu at home. 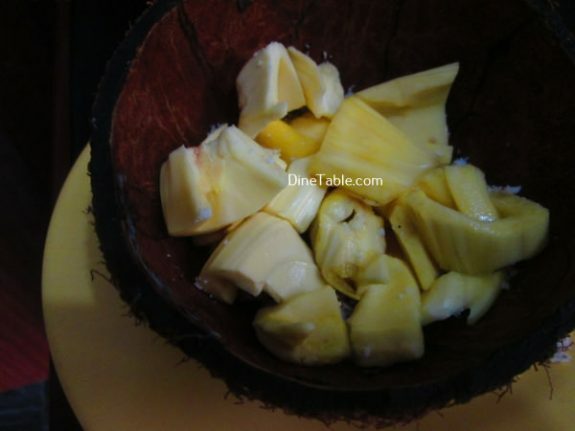 Chop the jackfruit pieces and keep aside. Take roasted rice flour in a bowl and add some salt. Slowly add water little by little over the rice flour and mix well. Continue this process till the flour becomes wet and smooth. Keep this aside for 10 minutes. 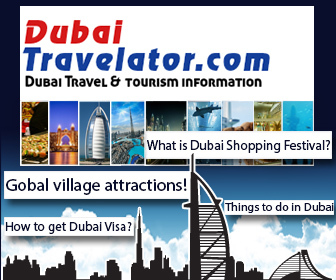 Take an empty coconut shell, the part which has eyes, scrape off the inside remaining with a spoon, rinse in water. 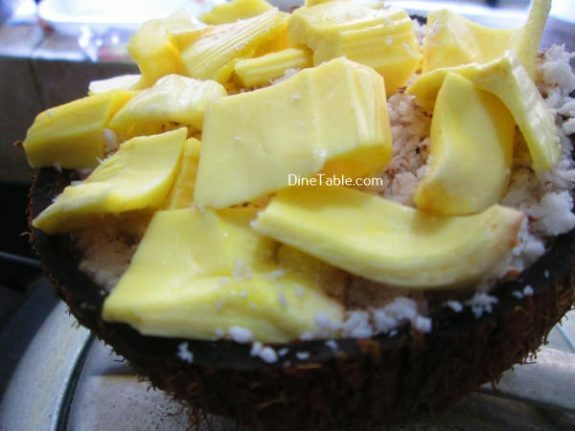 There are three eyes in the coconut, poke the flimsy eye with a spoon to make a hole. Put the small steel plate with holes, inside the chiratta puttu maker mould. 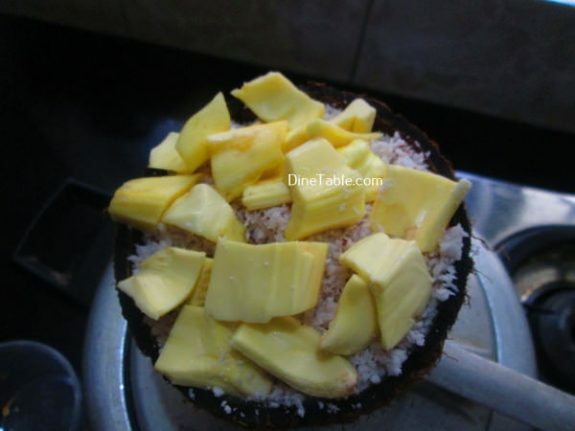 Add 3 tbsp of grated coconut. 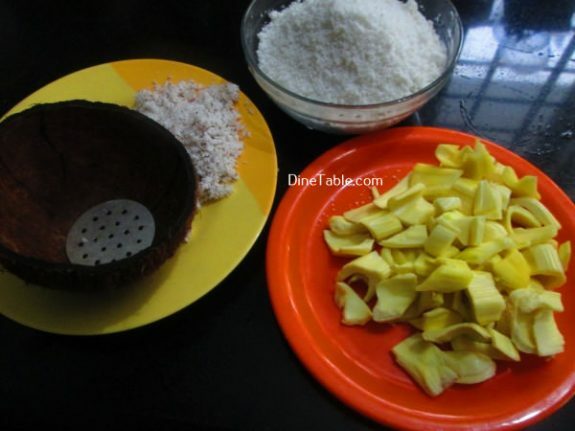 Then layer the Jack fruit pieces on the side of the chiratta and rice flour. 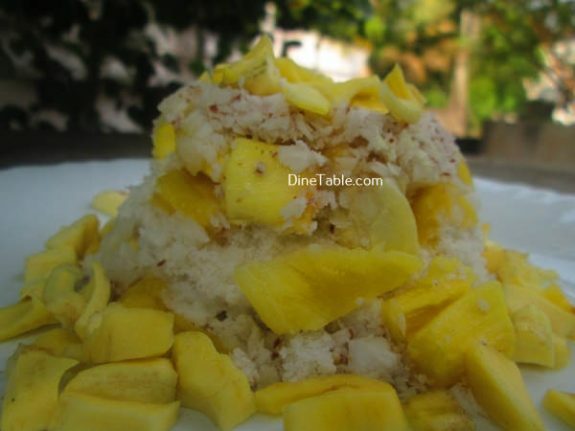 Again layer with grated coconut. 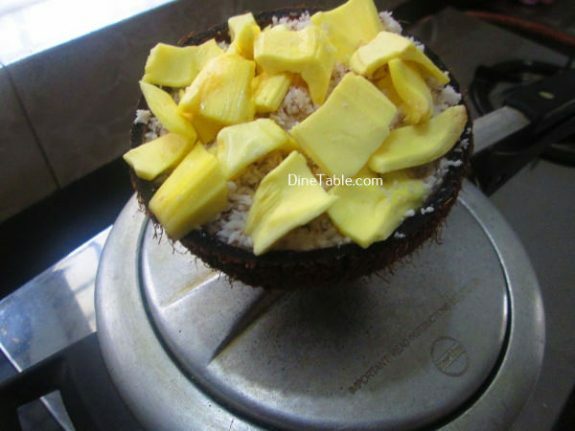 Heat water in a pressure cooker and when the steam starts coming out, place the coconut shell on top of the nozzle of the pressure cooker and keep a napkin as a lid for the shell. Let it steam for 6 minutes on a medium flame. Switch off the flame. Remove it from the pressure cooker and keep it for 2 minutes in the mould itself and then remove. 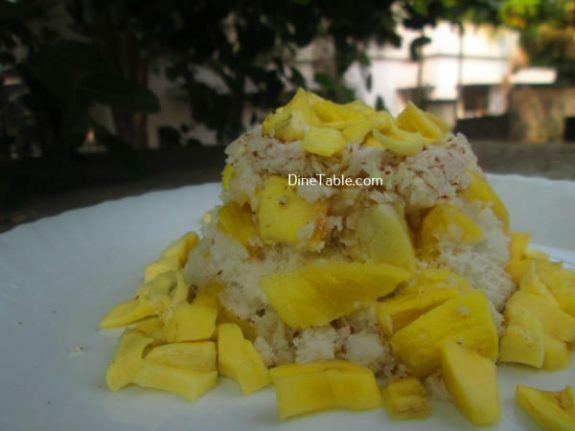 Tasty Chakka Puttu Recipe is ready. Enjoy!